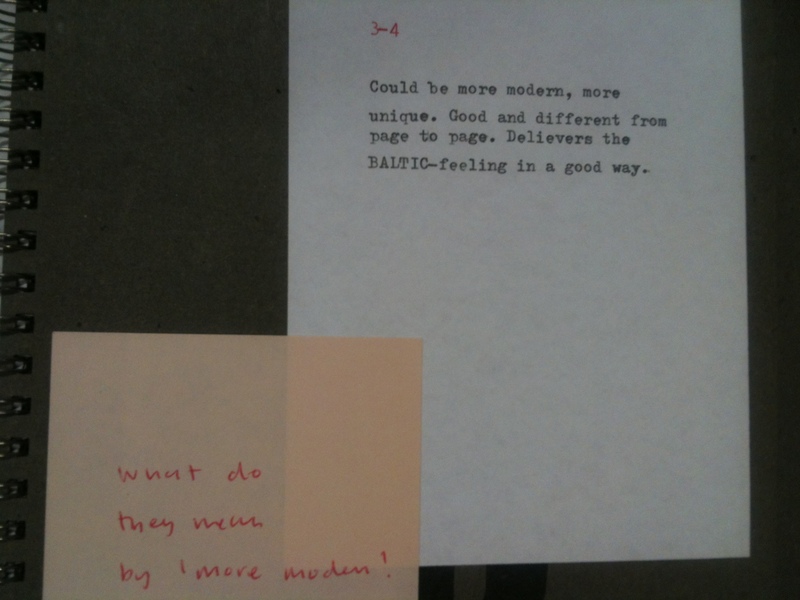 Yesterday I went on a visit to the Library & Archive at BALTIC, organised by CILIP Career Development Group (North-East). BALTIC Centre for Contemporary Art opened in Gateshead on 13th July 2002, and the Library & Archive a year later. The Archive holds materials relating to the history of the gallery and its exhibitions. 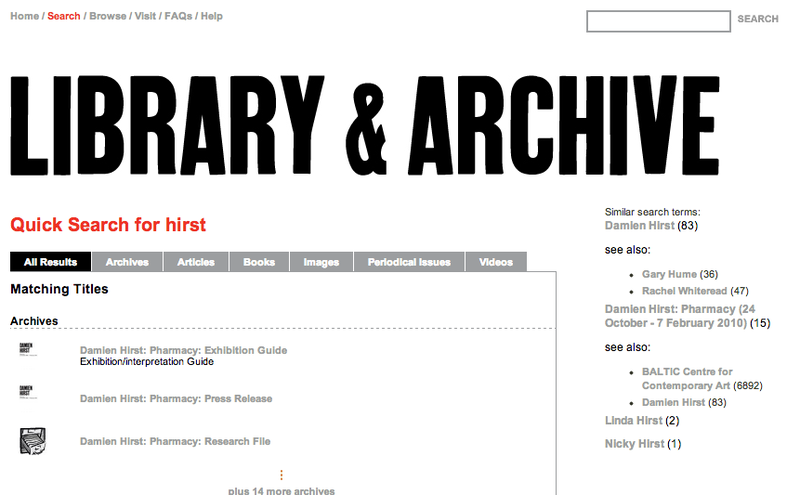 The Library is a reference-only collection of materials relating to contemporary art and design. Gary Malkin, Programme Archivist & Librarian at BALTIC, told us about the history of the Library & Archive and about its current operations. 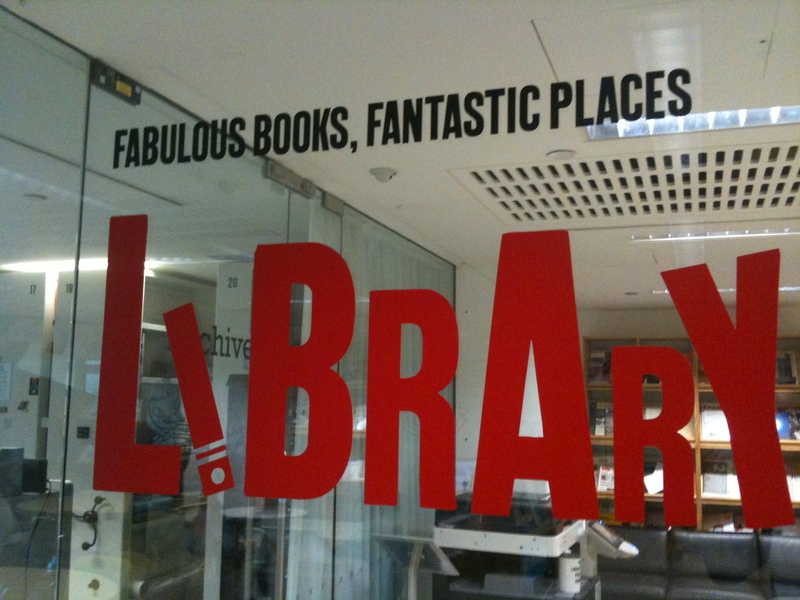 The opening hours of the Library & Archive are the same as the gallery opening hours, and entry is free, and open to all. The classification system was developed in-house. Gary explained that although a classification scheme such as Dewey (DDC) works well in a generalist library, it is less well suited to a specialist collection. 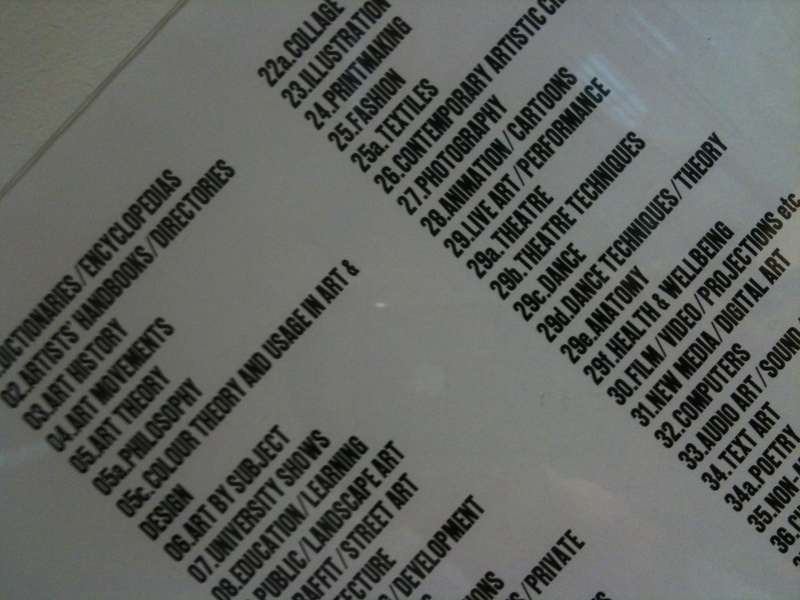 For example, all of art and design would be in the 700s in DDC. The in-house system consists instead of the numbers 1-50. Section 18 is artists, ordered by family name. DDC separates artists by medium, and this distinction is not useful in contemporary art where many artists work in a range of media. Gary told us about some of the projects currently in progress to bring in students from schools, colleges, and universities to get them to use the library collection and produce an artwork. In the future, there are plans to modernise the database of holdings, redesign the area just outside the library to create different educational zones, and improve the environmental conditions in the archive (a perennial problem in many libraries and archives!). Note for font geeks: BALTIC’s official font is called BALTIC Affisch, and the font they use for non-headline writing is Akzidenz. Many thanks to Gary for the tour (and looking forward to the gin* party** he has promised*** us). *Gin may not be involved. **”Party” was not specifically mentioned. ***He didn’t actually promise anything but a gin party would be fun.